If you have questions, please email them to research@wwu.edu. The Digital Cinema Production Kit is a package of equipment that can be checked out from Classroom Services in Haggard Hall. The kit contains cinema-level production equipment and is designed to be used by students in a studio environment or on location to learn how to use professional equipment to produce media. Is obtaining an education a political act? As participants in a system of higher education, what is our responsibility to serve our local and global communities? Join students, faculty, staff, and community members as they consider questions like these during this quarter’s Teaching-Learning Academy (TLA) dialogue sessions. Western Washington University will host Moses Rifkin, the Science Department head at University Preparatory Academy in Seattle, and Abigail Daane, a professor of Physics at South Seattle College, for “A Path toward Social Justice in Physics Teaching” at 4 p.m. on Thursday, April 11 in the Communications Facility room 120. Did you know April is Records and Information Management Month, and we have updated retention schedules to celebrate! 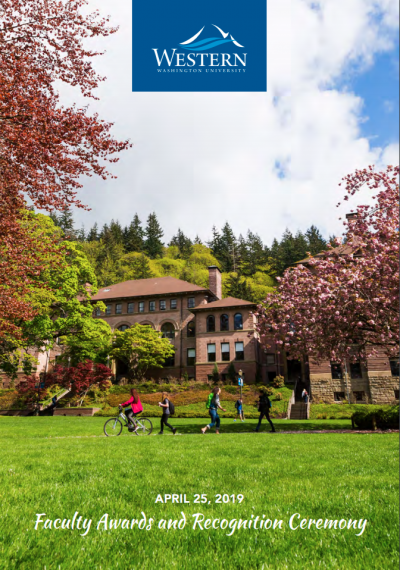 The Board of Trustees, upon recommendation of the President and support of the University Retirement Plan Advisory Committee, has approved a notable change in retirement age for the Western Washington University Retirement Plan (WWURP). Effective April 5, 2019, retirement age under the WWURP will be amended to include employees that have attained age 55 with ten or more years of service completed without a break in service. All WWU faculty are invited to attend the 2019 Faculty Awards & Recognition Ceremony from 4-6 p.m. on Thursday, April 25, in the Wilson Library Reading Room, hosted by Provost Brent Carbajal and Faculty Senate President McNeel Jantzen. Scholars Week is coming soon and many student have posters on their minds. If you are a student thinking about participating in Scholars Week, or if you just want to learn a little more about how to create an effective poster, Western Libraries invites you to attend the Designing for Impact Research Poster Workshops. 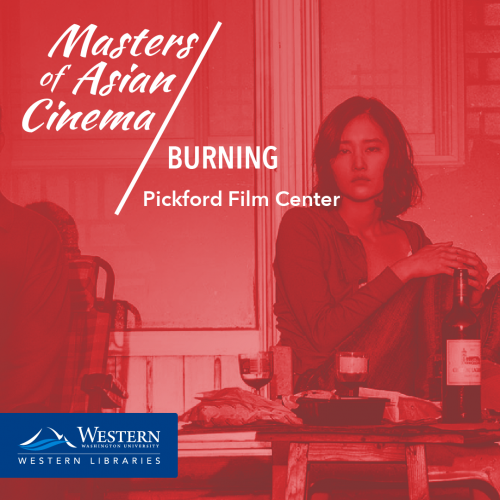 The next Masters of Asian Cinema film is Lee Chang-dong’s 2018 feature Burning, which screens on Tuesday, April 16 at 6:30 p.m. at Pickford Film Center, 1318 Bay St., in Bellingham. As part of the Buchanan Towers Renovation project, a short section of the north-bound lane of South College Drive will be closed just west of Buchanan Towers (BT) from 7 a.m. to 3 p.m. on Monday, April 8, and Wednesday and Thursday, April 10-11. The southbound lane of South College Drive will remain open, parking lots and Harrington Field will be accessible from the southbound lane. Scaffolding materials will be delivered and staged on the median of South College Drive. Traffic flaggers, signage and barricades will be in place. Please obey flaggers and use caution in this area.